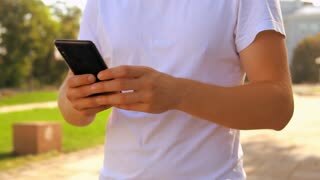 Search Results for "mobile scrolling"
Young male holding his mobile device and scrolling timeline on social networks outdoors. Portrait of a young pretty blonde standing near a modern building in the sunny morning scrolling her feed in a mobile app. 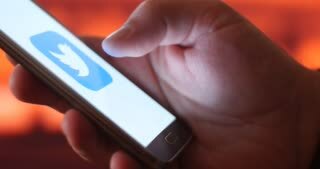 Woman hand touching screen on modern mobile smart phone. Close up. Swiping and scrolling. Scrolling through photos of snowdrops on mobile 4K. Female person with long nails outside in nature, taking pictures of beautiful snowdrops after winter, looking through photos on smartphone device. Over shoulder view. 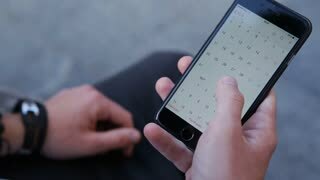 Close-up male hands scrolling screen on smartphone. 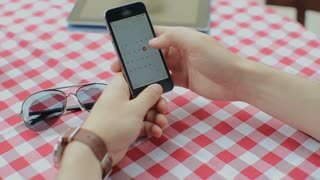 Person using calendar app on the mobile device. A slow dolly shot of an unidentifiable man sitting at a table scrolls through various news or social media feeds on his touchscreen mobile telephone. 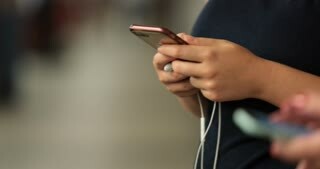 Young asian woman using white smartphone device with green screen. Asian woman mobile , scrolling pages while sitting on the couch in the living room. Chroma key. Young asian woman using black smartphone device with green screen. Asian woman mobile , scrolling pages while sitting on the couch in the living room. Chroma key. 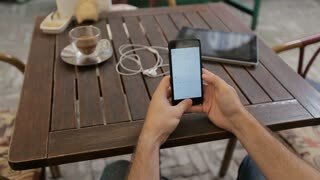 Young attractive male scrolling on mobile device on open plain in a busy urban area.